Fin whales that live in the oceans are known to undergo seasonal migrations between the tropics and high-latitude waters spanning thousands of km. 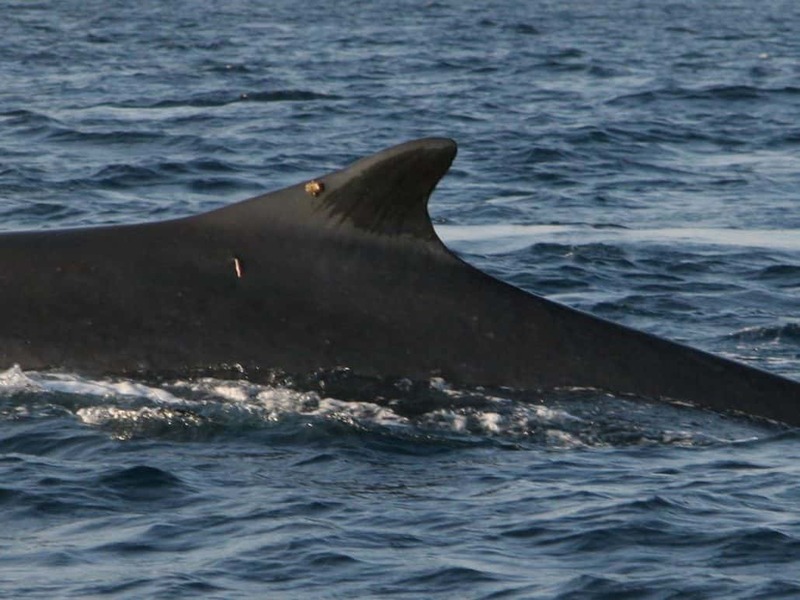 By contrast, movements of the population of fin whales residing in the Mediterranean are still mostly unknown. During summer, Mediterranean whales congregate in large numbers to feed in the Pelagos Sanctuary in the northwestern Mediterranean, the region’s largest marine protected area designated by France, Italy and Monaco to protect marine mammals. However, their destination during the rest of the year is still a matter of debate. Whales are also known to frequent other parts of the Mediterranean, including the waters near Gibraltar as well as the eastern basin, but their relationship to the whales found in the Pelagos Sanctuary remains unclear. 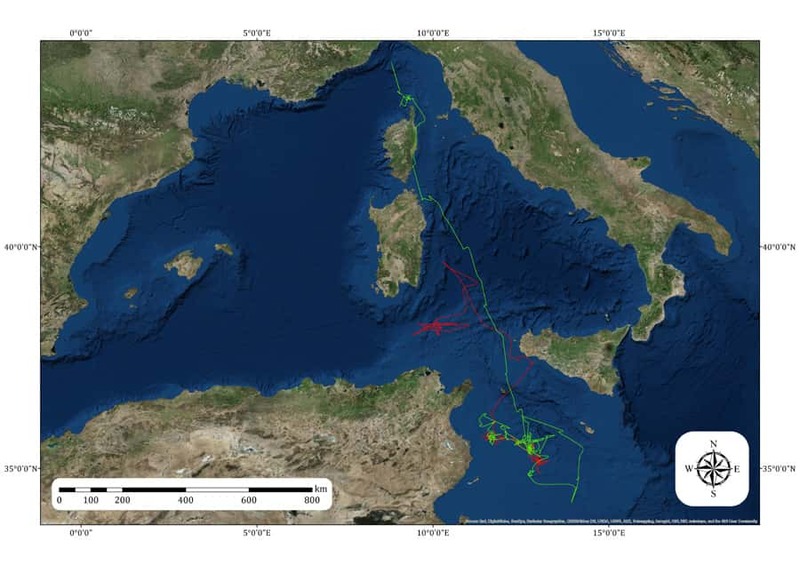 To shed light on the migration pattern of Mediterranean fin whales, the General Direction for Land and Sea Protection of the Italian Ministry of the Environment, in the framework of the implementation of the ACCOBAMS Agreement has funded a specific project to the International Whaling Commission. A team of scientists from the International Whaling Commission (IWC) and the Tethys Research Institute have been trying since 2013 to fit satellite tags on whales known to briefly appear in the waters surrounding the small Italian island of Lampedusa, in the Strait of Sicily, towards the end of winter (February-March). The research is being conducted in collaboration with the Institute for Environmental Protection and Research (ISPRA), the National Oceanic and Atmospheric Administration (NOAA), the University of Siena, and the Pelagie Islands Marine Protected Area. 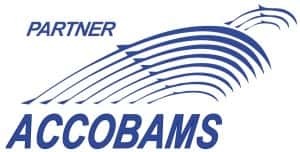 The project provides support to the implementation by Italy of Directive 2008/56/EC (Marine Strategy Framework Directive, MSFD) for monitoring activities addressed to the achievement of Good Environmental Status of the Italian seas. 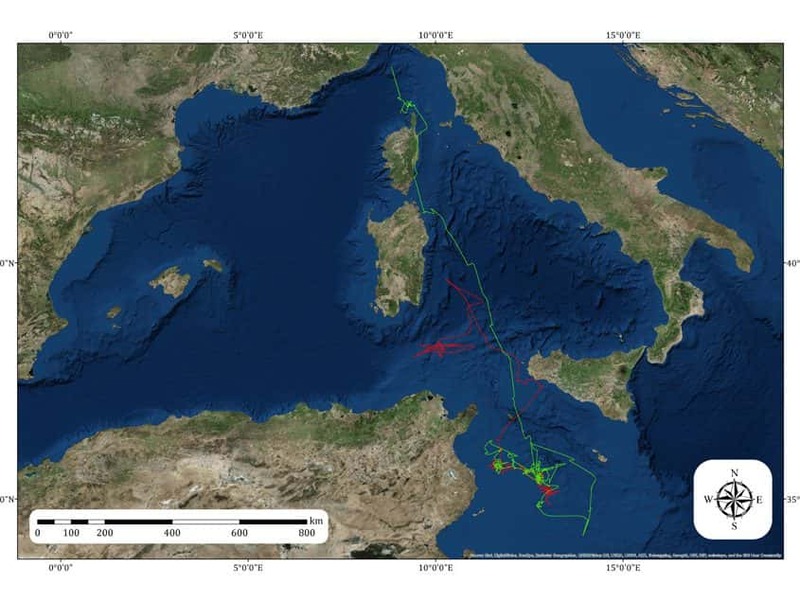 It was commissioned to obtain robust data on movements and possible migration routes of fin whales and on their habitats in the waters surrounding the island of Lampedusa. 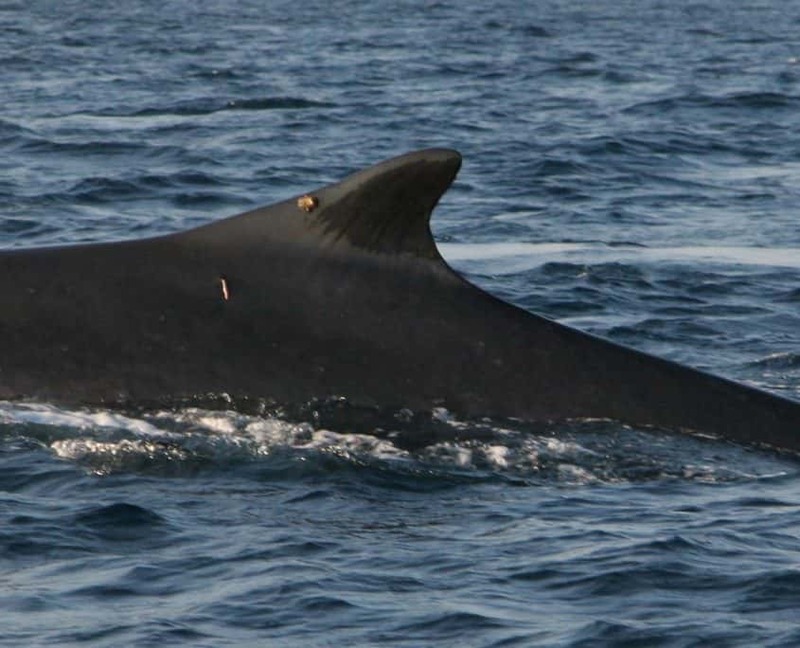 On the 14th of March we managed to equip two fin whales with tiny satellite transmitters. The whales remained around Lampedusa for a couple of weeks, swimming back and forth along the shelf break between the islet of Lampione, the Levante seamount and the Tunisian coast, gorging on the abundant zooplankton found during winter in the surface waters of the Strait. On the 1st of April the two whales separated: one of them started swimming north, hugging the southwestern coast of Sicily and then moving into the Tyrrhenian Sea off the east coast of Sardinia, while the other kept foraging for a few more days over the Tunisian Plateau. Then also the second whale moved into the Tyrrhenian, rapidly swimming northwards by more than 1300 km, and is now west of Corsica, after spending several day north of Cape Corse, well into the Pelagos Sanctuary, where it is likely to remain until the end of summer. This new information provided by the satellite tracking of the whales is an indication that the whales appearing in the Sicily Strait in winter are the same that congregate later in spring in the northwestern Mediterranean. This still leaves open the question concerning the relationship between these “western” whales and those found in the Ionian Sea and in other eastern Mediterranean locations. This question will now have to be addressed by also targeting the “eastern” whales with specific satellite tagging programmes. The established link between Lampedusa and the Pelagos’ waters reveals the extensive movements of fin whales outside the Sanctuary and across the Mediterranean” affirms Giuseppe Notarbartolo di Sciara, President of Tethys and Councillor for Aquatic Mammals at the Convention on Migratory Species, “With such wide movements whales run into significant dangers, such as when crossing the Strait of Sicily, one of the world’s busiest shipping lanes. This new knowledge emphasizes the urgent need of addressing the conservation problems of these migratory marine mammals on a regional basis. Tagging was conducted under a specific permit granted by the competent authorities and on the basis of ethical and legal principles of animal welfare.